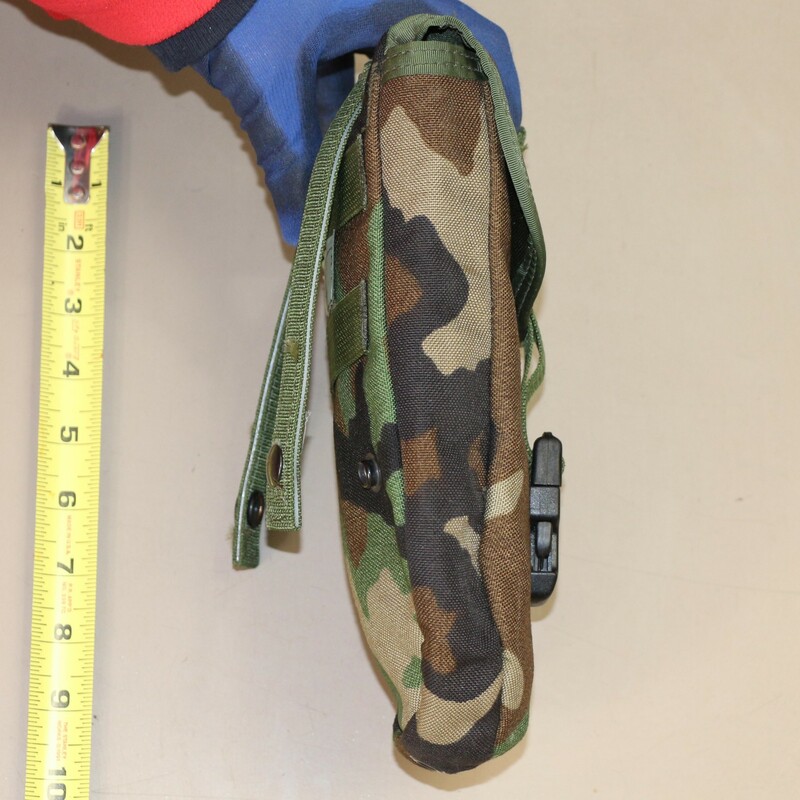 Measures: About 7 inches wide at top, 4 wide at bottom, 10 tall and 2 inches thick. 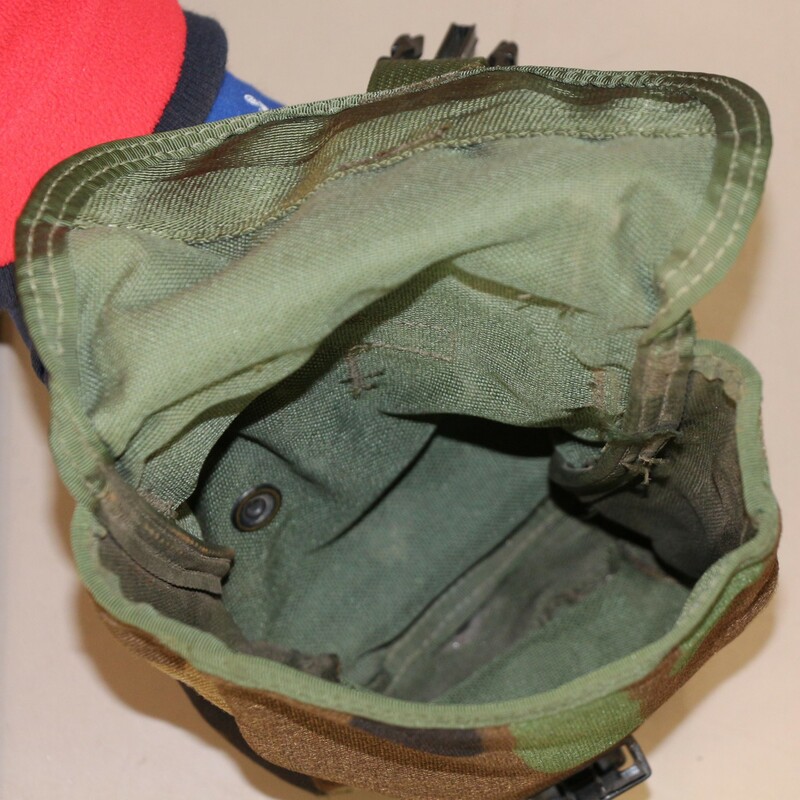 These Genuine U.S. Military Issue entrenching e-tool carriers are a great pouch not just for entrenching tools, but for many applications, such as for storing hunting, camping and hiking items or for use as a first aid pouch. 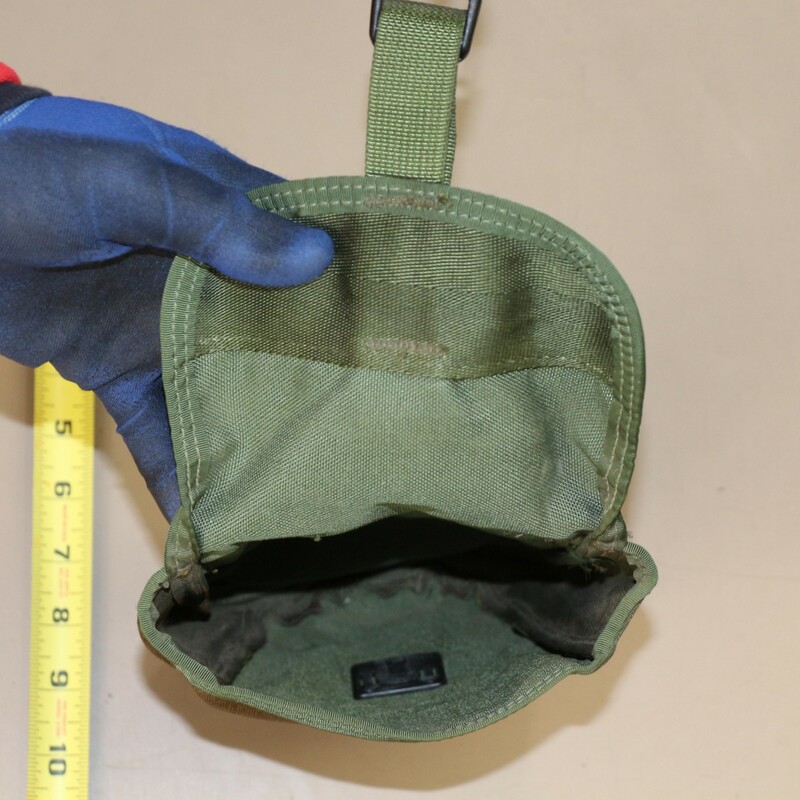 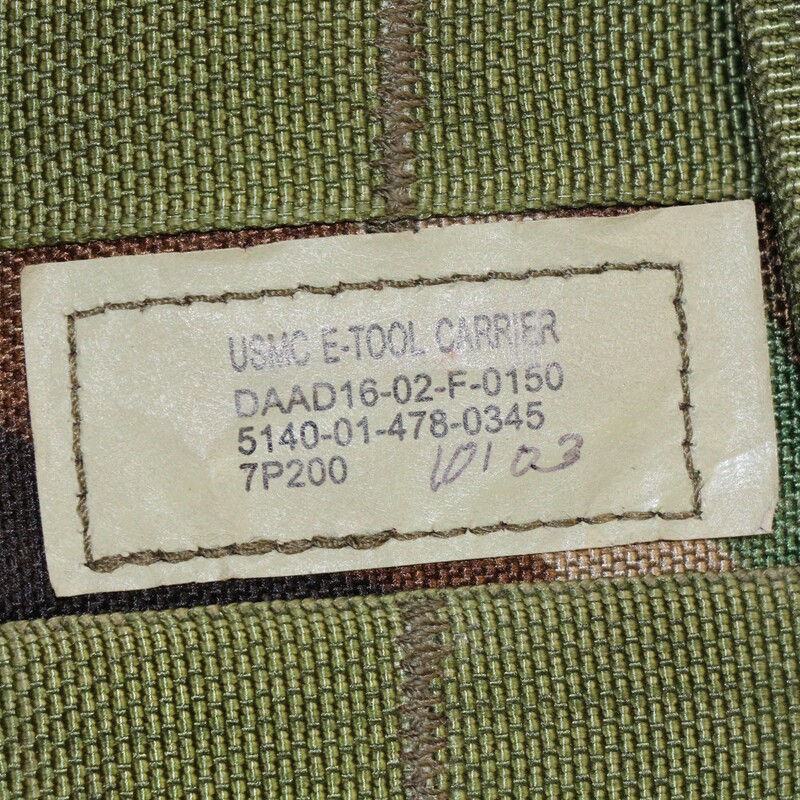 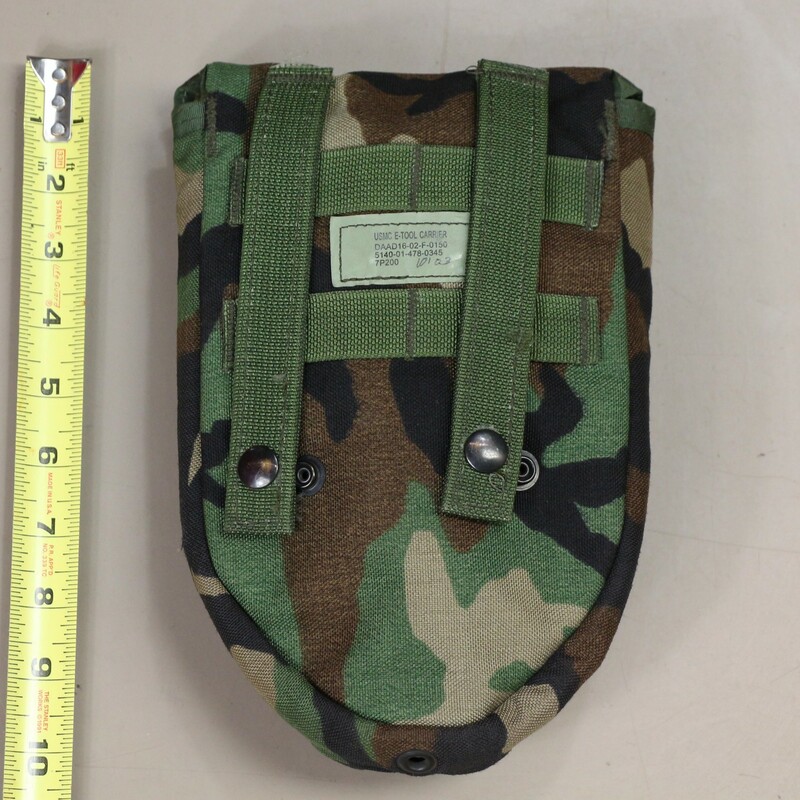 Still used by the U.S. Military to this day, it is the current issue pouch used by the U.S. Military. 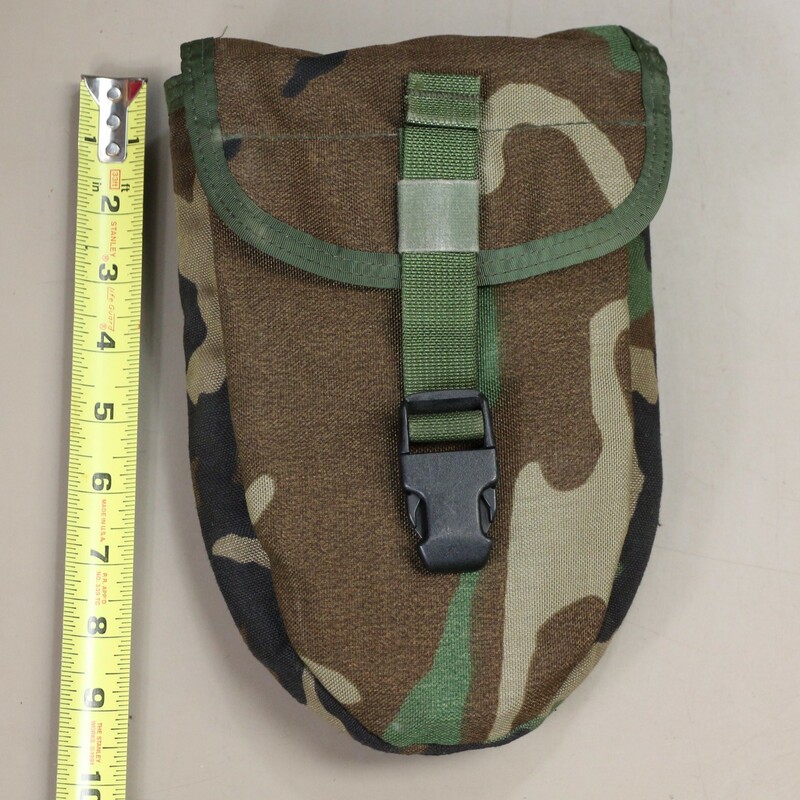 Features an adjustable closure strap with heavy duty plastic buckle. 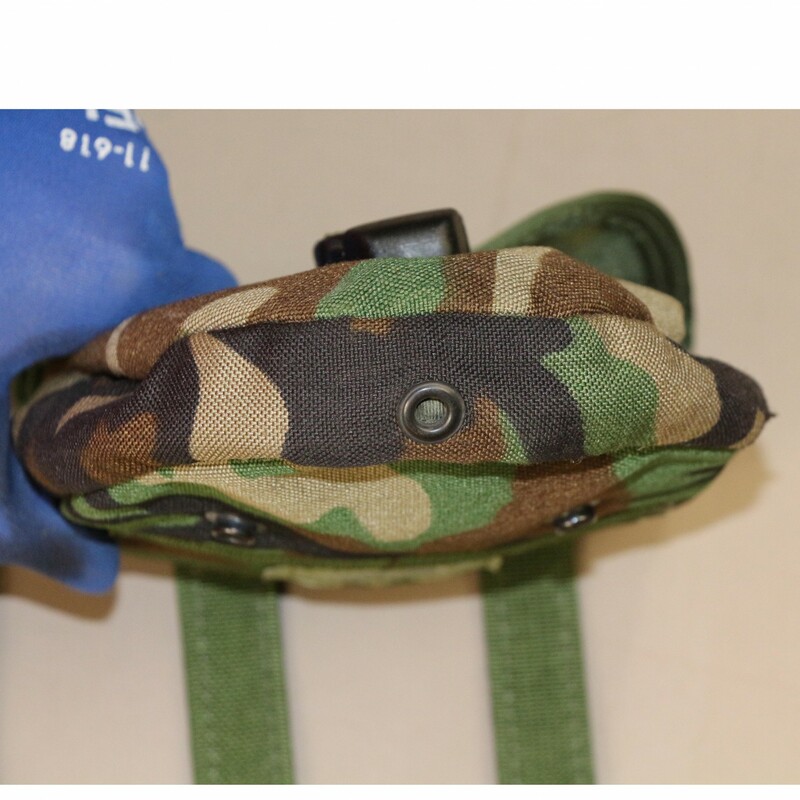 You can connect this pouch to your MOLLE supported gear with the back MOLLE attachment straps.